Losing a car key or locking your keys in your car is a frustrating situation that most of us in Spring have experienced. No matter if you are in a rush to an important appointment or simply needing to take a leisurely trip to the grocery store, not having your keys is frustrating. Lost or locked-in keys aren’t the only problems that can be encountered. Sometimes car keys and their corresponding keys break or become damaged. 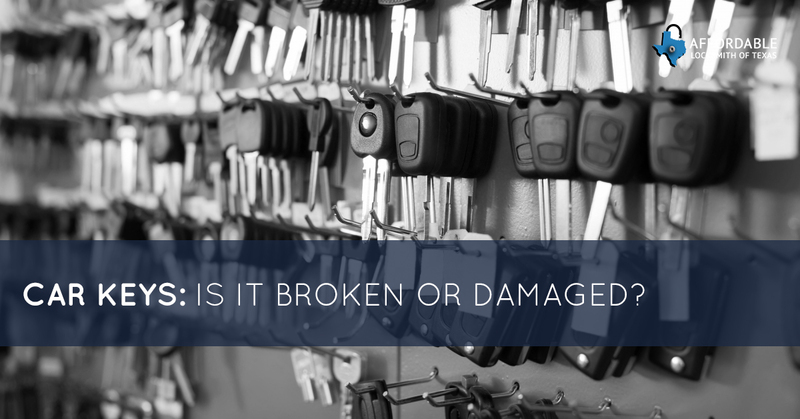 An auto locksmith can help you with a lot of the issues you may face with broken or damaged keys. Read on to learn more! Like we mentioned above, a car locksmith should be able to help you with most car key problems—and usually charges less than the dealership to fix your car key, key fob, or transponder key. However, even though we can do a lot, we aren’t magicians; we may need your help to fix your key. Keep reading below to learn more. If your car key has given up the ghost and has snapped in two, then, of course, you will need a new key: to fix it, we will need the pieces to make your new key. Makes sense, right? Also, if your car key has a microchip, we will be able to remove it and reinsert it into the new key. Is your key worn out from years of taking trips back and forth to work with the occasional road trip? No matter how your key became worn out—whether it be from work or pleasure—we can replace your worn out key. We will recut the key and place the old transponder chip in your new key. Not having a working key is frustrating. However, having a vehicle key that is stuck and won’t turn in your car’s ignition is quite possibly the most infuriating of related situations. If the root of the problem is with your car key, then the car locksmith should be able fix your key: they will most likely recut your key and reprogram it. If the root of the problem is an issue with your ignition, then unfortunately, you will probably have to take your car into the dealership. If your car door isn’t opening or your vehicle is not starting, there could be an issue with your key fob, such as it has been damaged or is completely and utterly broken. In this case, you may need to a car locksmith to reprogram your key fob or replace it. If your car key, key fob, or transponder key isn’t working, contact the car locksmiths of Affordable Locksmith of Texas! We offer car key repair, car key replacement, transponder key replacement.